Meteora, Greece. Photo: Antonio Picascia. 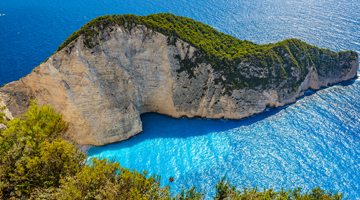 Being one of the smallest countries in the world, Greece is blessed with a long coastline. There are 8 500 miles (13,676 km) of shore offering the most spectacular beaches in the world. 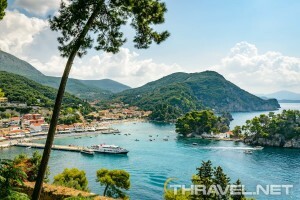 Greece features up to 6 000 big and small islands in the Mediterranean, Aegean and Ionian Seas. At least 50 islands are popular tourist destinations. 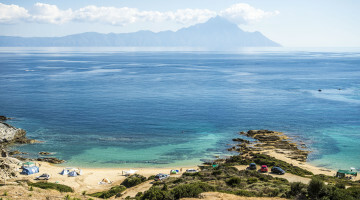 The tourist hot spots on the country’s mainland are located in Halkidiki (Chalkidiki) Peninsula, the area of Mont Pelion, region of Attica and the Peloponnese peninsula. Halkidiki is located in Northern Greece. The peninsula is 90 miles (150) km from the the city of Thessaloniki and features three fingers – Kassandra, Sithonia and Athos. Kassandra is the closest land to Thessaloniki. This part of the peninsula offers 3-4 star hotels and villas with well organised, sandy beaches. Sithonia is for nature lovers mainly because you can find many untouched wild beaches with azure blue water and golden sands. The accommodations are mainly small, pet friendly hotels, camping facilities and guest houses. Mount Athos is a sacred place consisting of twenty monasteries. It combines natural beauty and unique examples of Christian orthodox architecture. Unfortunately, women are not allowed in the monastery complex. This part of the mainland is both a summer and winter tourist destination. The best beaches are located on the eastern part of the peninsula and overlook the Aegean Sea and the Sporades. 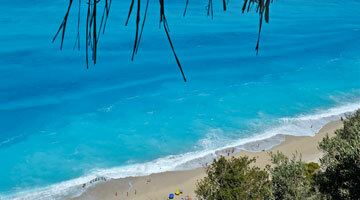 Must- see places are Mylopotamos, Damouchari, Fakistra and Plaka beach. On the west coast is situated one of the most significant ports in Greece – Volos. In close vicinity to Volos are located many charming villages with unique atmosphere – Portaria, Markinitsa, etc. 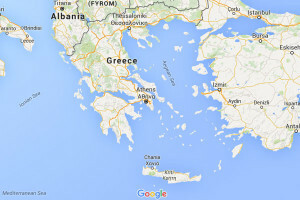 There are 4 main clusters of islands in Greece – Aegean, Ionian, Dodecanese and Cyclades. Aegean Sea is a home of many beautiful lands – Thasos in the North; Samos, Lesbos, Samothrace in the north-west; Sporades and Evia in the south. Most of Aegean islands feature lush vegetation, crystal clear water and sandy/pebble beaches. The group of Cyclades is located in the Mediterranean Sea. The archipelago consists of more than 50 islets. The most famous are Milos, Mykonos, Naxos, Paros, Santorini, and Sifnos. Most of the islands are famous with the unique opportunities for 24-hour entertainment. 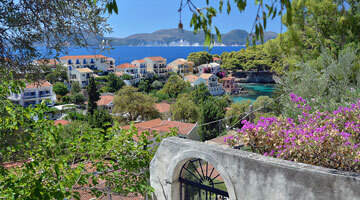 There is not much vegetation in the region so if you want to see the beauty of Greece, opt for Ionian Islands. 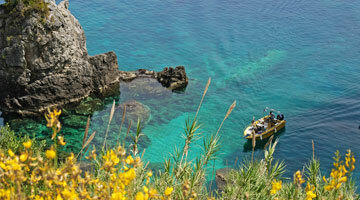 There are examples of unparalleled natural beauty on Kefalonia, Zakinthos, Lefkada, Corfu and Ithaka. The Dodecanese chain of islands includes Karpathos, Kos, Patmos, Rhodes, and Chalki. 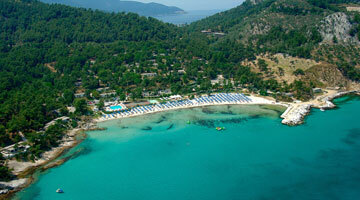 Halkidiki is ready to welcome early-birds even in June. 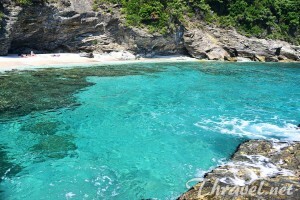 The water temperatures are comfortable to swim in the sea. In other places water can be really cold in June, especially in the area of the Ionian Islands. July, August and September are considered best for a sunny summer vacation in Greece. The sea water is getting warm after the beginning of July and resorts are full of party people. Most of the hotels are open from 15th May to 15th October. An exception is the Halkidiki peninsula where the tourist season starts earlier – from 1th April but only in the luxury 4 stars hotels.